Do you need a creative but not overly gaudy business card design? If yes, we suggest the use of watercolor business cards. 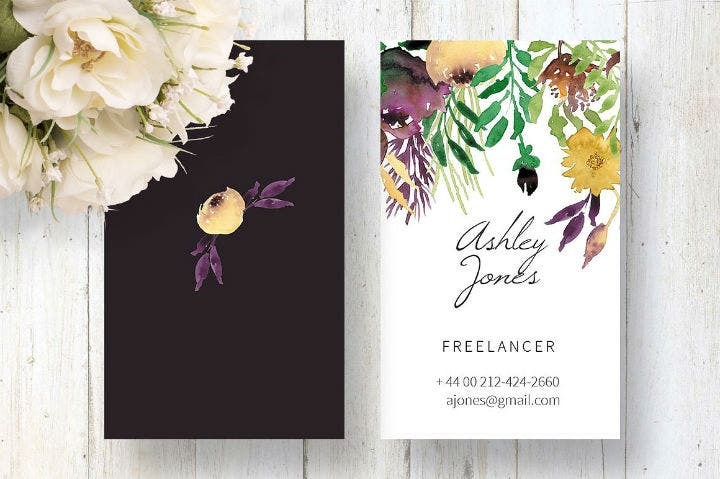 As its name implies, these kinds of business cards will feature a painting-like quality on your name cards and will work to help create a good impression for your personal brand or business. 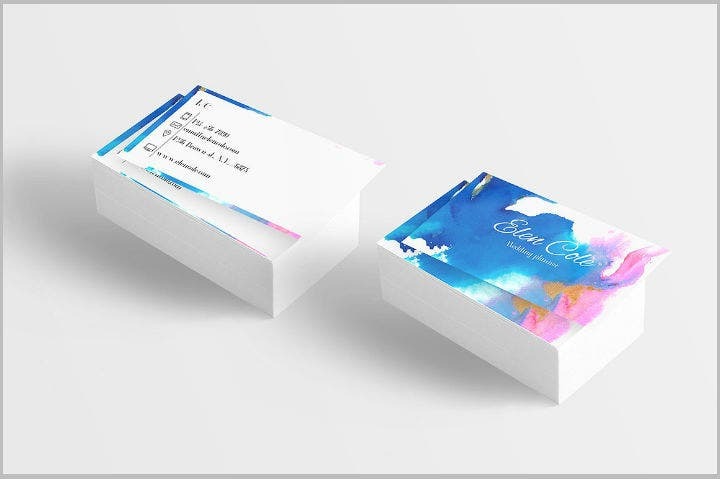 In this article, we will provide multiple examples of watercolor business card template designs that can be used by different businesses and individuals to further market their own brands. More information on the different advantages of these pre-made business card templates is also provided below. 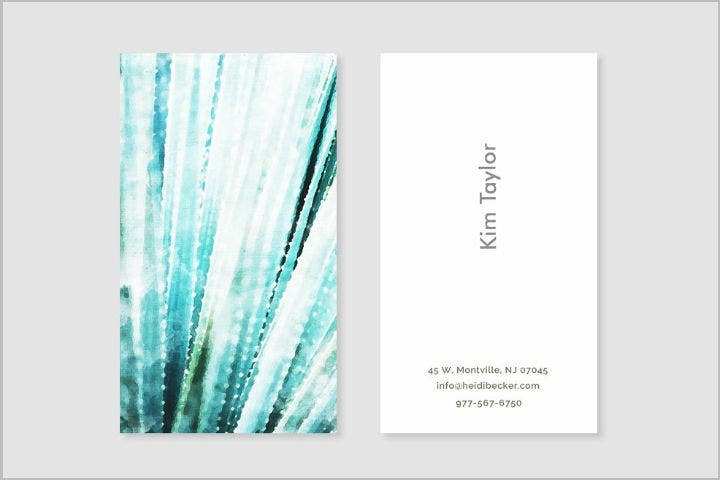 Embedded below are the watercolor business card templates that you can download and print out right away. Make sure that you have a compatible graphic design software program installed on your computer since all these templates are available in either Adobe Photoshop and Illustrator template files. How To Create a Watercolour Business Card? Designing a business card can be relatively easy. And there are two main methods anyone can follow if they wish to create their own business cards. In the next few paragraphs, we will introduce each method and we will also provide the different pros and cons associated with each business card-making method. The first method that can be used in creating a business card is called the handmade business card method. As the term implies, it uses handmade card designs to create a business card. Creating a business card by hand is preferable if you want more creative control of your business card’s designs. Handmade business cards are also effective marketing tools for sustainable and eco-friendly businesses. Or, they can be used by anyone who wishes to support this lifestyle choice. The main disadvantage of creating handmade watercolor business cards is the amount of work you need to do just to complete the final business cards. If you intend to create hundreds of the same kind of business card, the task can quickly get tiresome and monotonous. As an alternative, you may choose to have other people help you with the task. Or, you may just resort to making a few of these handmade watercolor business cards. 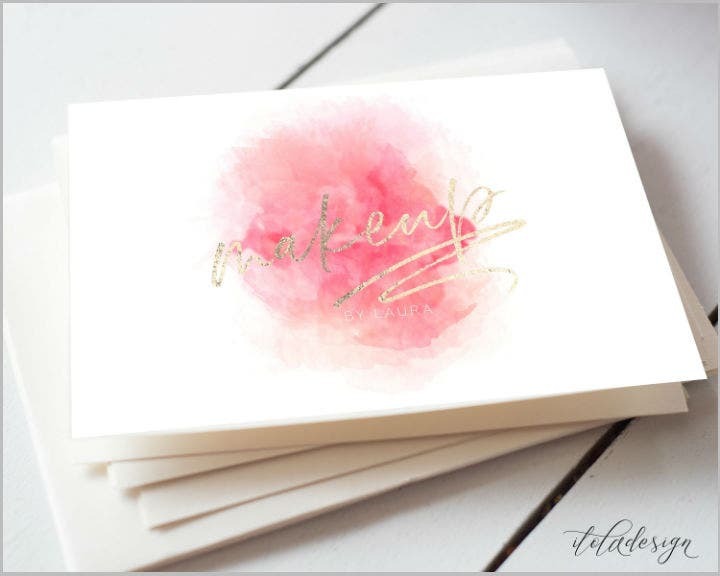 The second and most common method of creating watercolor business cards is through the use of pre-made watercolor business card templates. These are pre-formatted digital files that already contains all the image, watercolor illustrations, and text elements that will be needed in order to create a business card. 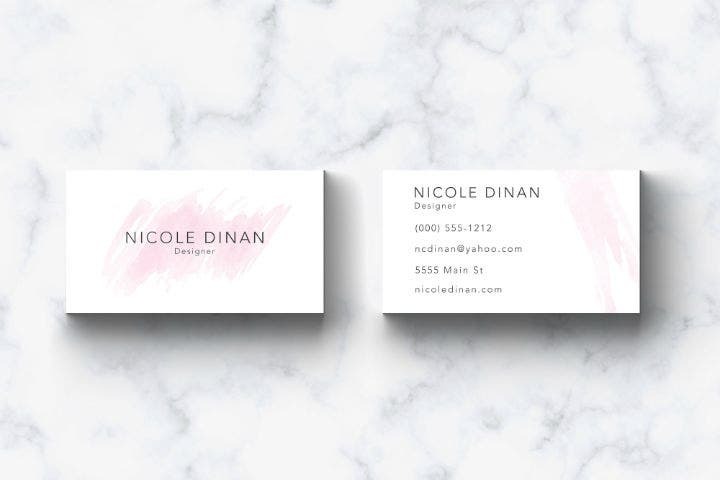 Due to their digital nature, anyone using a pre-made template can create a final business card within a few minutes and thus help you save time, money, and effort. On the other hand, the main drawback of using printable watercolor business card templates is that you do not have as much creative control. 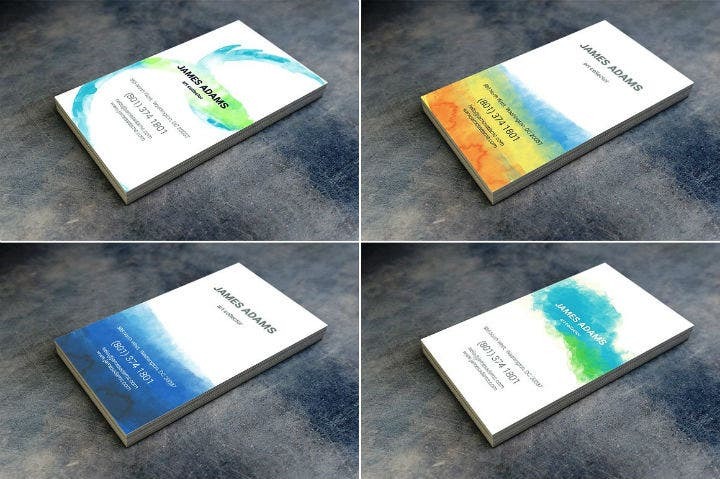 Yes, it is true that you can edit these printable business card templates. However, you need to find those business card templates that have fully editable layers before you can make any changes to the design elements used in the template. Those are the two main methods in creating a watercolor business card. Choose the method that you like best and the one where you feel you can accomplish within a set period of time. Also, do not forget to enjoy the moment and have fun creating your own watercolor business cards. 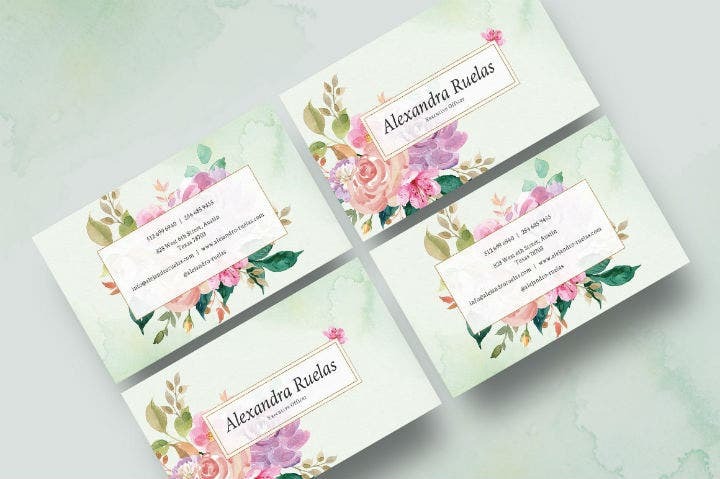 Watercolor designs on cards, stationeries, and other printed materials can look very luxurious and organized. 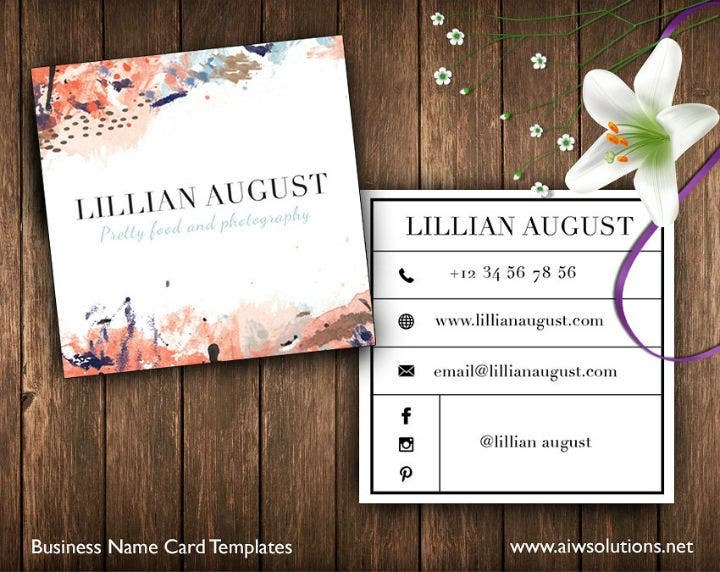 So if you want the same feelings or emotions translated into your business or personal brand, you seriously consider using any of the beautiful watercolor business card templates that we have curated in this article. All these templates are ready to print and fully editable. 1. Business card templates can be used again. The main advantage of using pre-made watercolor business card templates is that they can be used again. All you have to do is save the original business card template file on your computer, on the cloud, or on any other storage device and you will have access to it for eternity. All exaggerations aside, you can really reuse any business card template that you have purchased. You can use the same template design and print them again when you run out of business cards. Or, you may update the personal and contact information on the same business card template and print out new ones. 2. They help you save time. 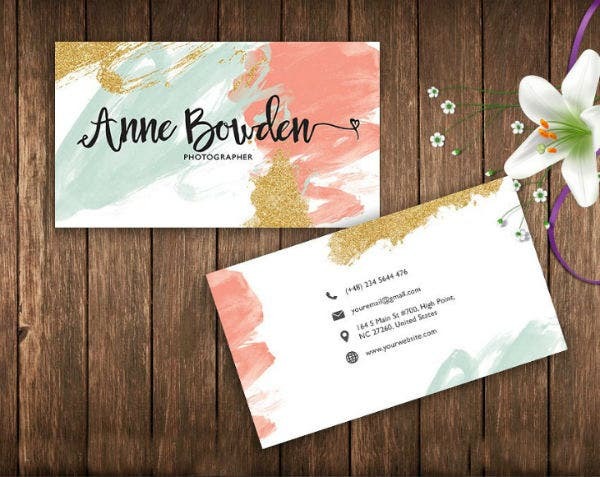 The next advantage associated with using pre-made watercolor business card templates is that they, ultimately, help you save time when completing any graphic design project. For example, when you use a printable business card template, you do not have to create the entire card template from scratch. If you are a busy person, you can just schedule a few minutes of your time to do this task and you will have a printed and professional looking watercolor business card at the end of the session. Not tiring at all! 3. These printable templates do not cost so much. 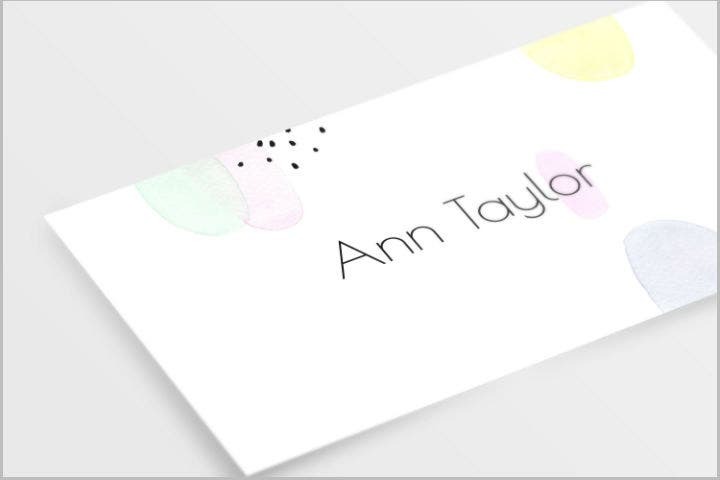 Another positive side of using printable watercolor business card templates is their affordable cost. Let’s admit it, printable business card templates costs way lesser than having a professional graphic artist create a business card design for you. So if you are on the fence whether to use a printable business card template or to hire a graphic designer, maybe it is time to look into these printable templates first. If you find a business card template design that suits your personality or business, then perhaps you should use that template instead. But, if for some reason you cannot find a business card template design that matches your business or personal brand, then maybe it is time to just have a graphic designer create a business card template design for you. 4. These templates are fully editable. Another major advantage of using pre-made digital business card templates is their customizability. This is important because most people who need business cards still have to edit the card template in order to truly make them their own. So if your goal is to further improve upon a business card template design that you see online, you can freely do this when you choose business card templates that have flexible editing options. 5. They allow you to practice your graphic design skills. 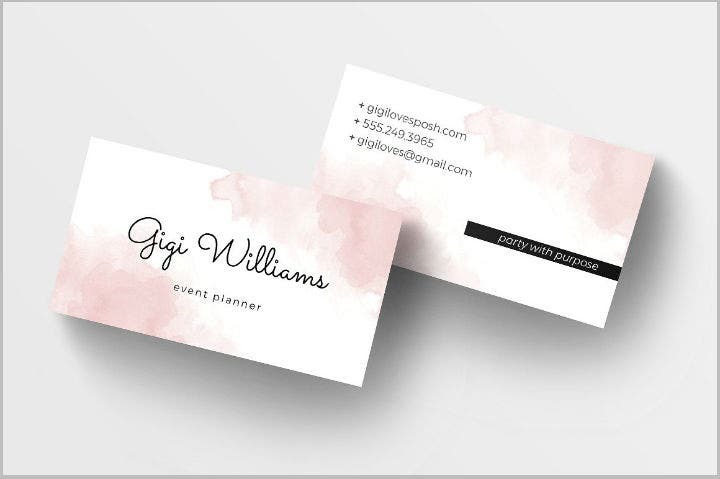 As we have mentioned earlier, when you use printable watercolor business card templates, you will need to make minor edits to the business card template. When you repeatedly do this and use different graphic design software tools to create your business card templates, you are also unwittingly honing your graphic design skills. This is a great boon for those who are interested in graphic design and wishes to improve their craft. While for others, just learning the basics of using software tools like Adobe Photoshop or InDesign is already a good start in your journey to fully learning graphic design and desktop publishing. So those are the top benefits that you can get when you use pre-made printable watercolor business card templates. Remember, not all of these benefits can be applied to everybody and for every situation or scenario. What is important is that you have learned how great and convenient it can be to use these templates. So we hope that you will actually get to create your own watercolor business card one of these days. For more information on how to create other types of business cards, feel free to check out the rest of our website for more free business card template designs. Are You Ready to Create Your Own Watercolor Business Cards? This article is a treasure trove of helpful tips on how to create a watercolor business. 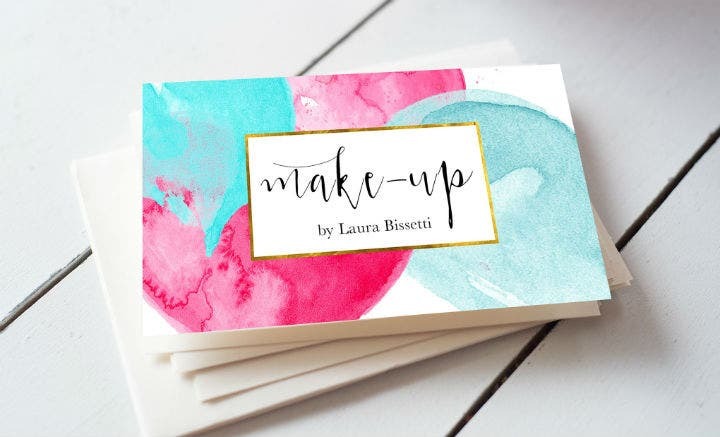 And it is also filled with beautiful examples of printable watercolor business card templates that anyone can use to promote their personal brands and businesses. 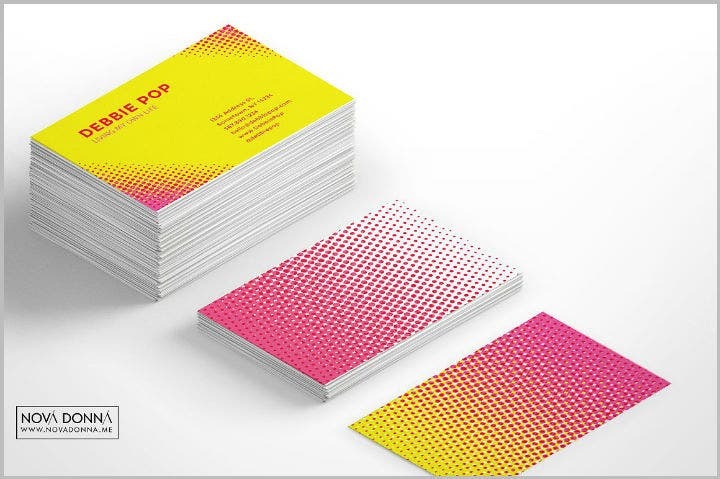 If you want to see and read more about different kinds of business card templates, feel free to browse through our site. Also, do not forget to tell your friends, colleagues, and followers on social media about this article! We will really appreciate it!